The most recent information on your child’s effort and currently working at flightpaths in each of their subjects is now available on the November interim report. We hope you will access this through our My Ed app and a reminder on how you download the app and the main features follows later in this letter. The report follows the same format as you will have received in Year 7. Each child has a target flightpath that depends upon their own starting point (using their KS2 SATS score). The aim is to stay on or get to a higher flightpath and show that your child is meeting or doing better than their potential. Throughout the year you will get updates as to where your child is in relation to their target flightpath. We use “+” and “-“ signs to give you a better idea of how secure they are on the flightpath. Year 8 is the most important year to date in your child’s school career and it is vital that we work together to ensure the most positive and successful experience. The My Ed app will show you information about attendance, achievements and behaviour alongside the most recent reports on progress and effort. We hope you find the app useful and that it sparks conversation at home and productive discussion around next steps. It works best when parents check the app regularly. Information on how to download the app can be found at https://www.clcc.college/my-ed-app/ Once downloaded the app is the place to go to see interim reports on progress. Without the app these will still arrive as a link via a text message. We think having all the reports available in the app in one place is a much better option with the added benefit of being able to see attendance, achievement and behaviour logs. Should you require a paper copy of an interim report, please let us know. 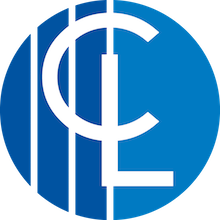 Should you have any questions about the app, please email app@clcc.college. Finally, I would urge you to keep your child’s reports and discuss them at home. Comparing how well your child has progressed from the last report can be particularly effective in bringing about improvement.